The NSWALNC is the peak professional body representing teachers, workers & others interested in the field of adult literacy & numeracy. It was established in the late 1970s & is affiliated with the Australian Council of Adult Literacy(ACAL). Pam Osmond - From 1977 to 2017: How did we get here? As the peak professional body representing teachers, workers and others interested in the field of adult literacy and numeracy the council has a voice in policy and its implentation. The NSWALNC made a submission to the VET Review. Our submission focused on priorities in the area of adult literacy and numeacy/ foundation skills. 2018 Submission to PWC for input into the case for change of the TAE training package. To subscribe to the NSWALNC's eNSWALNC send an email with the subject ‘subscribe to eNSWALNC’ to http://nswalnc@gmail.com/ and we will put you on the list to receive this monthly newsletter. 2017 marked 40 years since the establishment of the NSW Adult Literacy and Numeracy Council and the establishment of the Australian Council for Adult Literacy. The 2017 NSW ALNC Conference was a forum in which participants considered the different spaces in which ABE demands exist, and what participants in the field can do to shape the ways in which the demands could be met. We asked: Where are the spaces to debate policy, practice and pedagogy in ABE? Fiona McGregor - Learning as resistance, learning as desistance: rethinking the purpose of adult basic skills education in prisons. Prof Alan Morris and Dr Benjamin Hanckel - The perceptions that homeless people and those at risk of homelessness have of literacy classes. The NSW Council for Adult Literacy and Numeracy appreciate this opportunity to provide feedback on the draft Foundation Skills Professional Standards Framework (February 2017). Some of our members had attended the workshops held in Sydney in March, which they found helpful in understanding some of the assumptions and intent of the Framework and the associated tools. The Council is the peak professional body for adult literacy and numeracy practitioners, including teachers, trainers, program managers, and researchers in NSW. We have been involved in the professional development of LLN practitioners, and advocacy for the field for 40 years. We hope the feedback that draws on our collective knowledge and experience in the field will be considered in the next stage of development of the Professional Standards Framework. In 2016 the Council conducted a survey of members to gain a picture of the NSW adult literacy and numeracy workforce and their current concerns for their students and the adult literacy and numeracy field. There were 78 respondents to the survey and their profiles mirror those in similar workforce surveys: predominately female, mostly employed part time, delivering face to face training in a classroom setting and an ageing workforce. A summary of responses can be downloaded here. The Council subsmission provides professional informed feedback on the IBSA project on the development of a training package for Foundation Skills. NSWALNC response to the National Foundation Skills Strategy consultation paper firmly placing LLN as a fundamental human right for all Australians. NSWALNC response to the draft Equity Blueprint: Creating Futures: Achieving Potential through VET. Our journal is published twice a year. 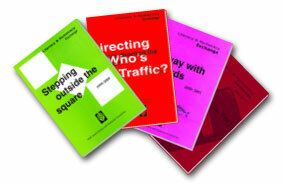 It contains articles of interest to people working in the adult literacy and numeracy field. The journal has a practical focus. We have now published this beautiful book of student writings, following our very successful writing competition. You can purchase copies from the NSW Council. The NSWALNC is the peak professional body representing teachers, workers and others interested in the field of adult literacy and numeracy. It was established in the late 1970s and is affiliated with the Australian Council of Adult Literacy (ACAL).